The Sony Xperia Z2 smartphone, which was unveiled at the Mobile World Congress (MWC) last week, can now be pre-ordered ahead of its expected UK launch on 1st April. Anyone interested in getting their hands on the latest handset in Sony’s family of smartphones, can pre-order through retailers like Unlocked Mobiles and Expansys. With Unlocked Mobiles you’ll get a bundle of goodies worth £200.00 that includes stuff like speakers and headphones, but we’ve not been told whether there are any extras if you buy through Expansys. 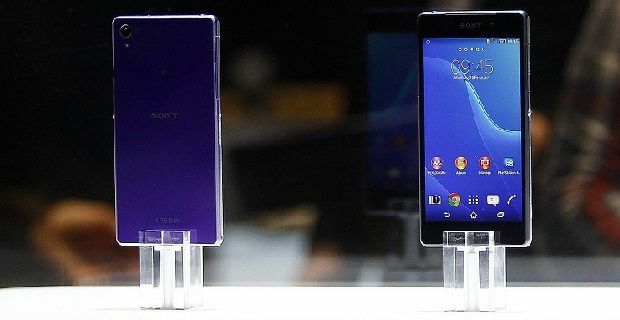 The Sony Xperia Z2 smartphone, which runs Android KitKat 4.4, is expected to be available from 1st April but neither Expansys nor Sony have announced a release date. Unlocked Mobiles are the ones giving us the April launch date. If it’s correct, then the Xperia Z2 will be out before one of its biggest rivals, the Samsung Galaxy S5, which comes to market on 11th April. High street giants Carphone Warehouse and Phones 4u have also announced that they’ll be selling the new flagship handset from Sony. Both will be accepting pre-orders from the middle of March. The handset costs £549.99 without a SIM, which is a hefty price tag but it probably won’t put off the most clued-up of techies looking forward to getting the most out of the device’s quad-core 2.3GHz Qualcomm Snapdragon 801 processor. Buyers will get a 5.2 inch HD 1080p display and a slim thin 8.2mm casing for their money but the more patient among us might want to wait and see what offers are available from mobile phone operators. If you’re into new phones but you’re not interested in paying for them, then you’ll be pleased to read that UK operators EE, Three, Vodafone and O2 have all announced that they’ll be offering the handset when it’s released.